Orlando, Fla. – January 2016 – Donn S. Kabiraj can be seen on newsstands across the United States in the current edition of Fortune magazine. In a full-page feature, the National Association of Experts, Writers, and Speakers recognize Donn S. Kabiraj as a “GameChanger™” in business. The January edition of Fortune hit store shelves on January 5, 2016. When it comes to our deliverables for Leadership Branding and International Franchise Solutions, our mantra remains ~ “Only the best is good enough”. Our creativity, discipline, futuristic approach to the industry and quality relationship with customers are our main keys. We are always hyper-vigilant to sense the changing needs of our customers and respond proactively by fact-driven decisions and excellent executions. Donn Kabiraj is the President & CEO on the Donn Corporation. Learn more at http://www.donncorporation.com. Donn S. Kabiraj is a Trendsetter in “Leadership Branding”. He is also an Expert in “International Franchise Solutions” and a Best-Selling author and Columnist for various newspapers including “The Times of India” which is the largest selling English-language daily in the world. Listed as one of the America’s PremierExperts™, Donn is also the recipient of the prestigious Lifetime Achievement Award from UWA which was conferred on him by Dr. Rakesh Mohan, Executive Director at the International Monetary Fund (IMF), Washington, D.C., USA and Professor of International Economics, Finance & Global Affairs in the Yale School of Management (USA). 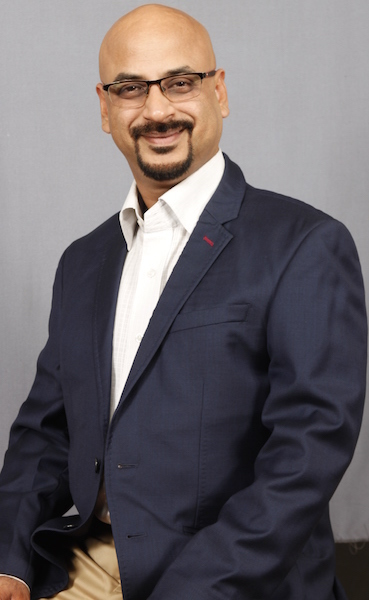 Based in India, Dubai and Toronto, this veteran Business Strategist has facilitated Business Creation and Expansion for over 20 years. Keenly targeted on contributing to the larger socio-economic development of the whole world, and on a smaller scale, to the development of talented, ambitious individuals and their remarkable entrepreneurial endeavors, Donn has currently focused Donn Corporation’s endeavors on the area of Leadership Branding. His reach is expansive and covers a lot of influential realms in our socio-economic culture. In addition to working with business-owners and Chief Executive Officers (CXOs) of small, medium and large businesses, he collaborates with politicians, doctors, architects, builders, musicians, authors, performing artists, yoga gurus and even princes of certain countries! Donn Kabiraj is also the President & Chairman of the multi-platform media house, the DONN MEDIA which is into both conventional media and new media. Primarily focused on leadership success & socioeconomic growth, DONN MEDIA helps successful people and thought-leaders from various fields to leave a legacy by authoring & publishing books, whitepapers, creating short films etc. If you would like to learn more about Donn and how he can create your Leadership Brand and add value to your business, please contact him directly at: ceo@donncorporation.com or by calling his office at : +91-98844-36403.